A determined man with a dream whose mentors and friendships supported him through his difficult life’s journey. 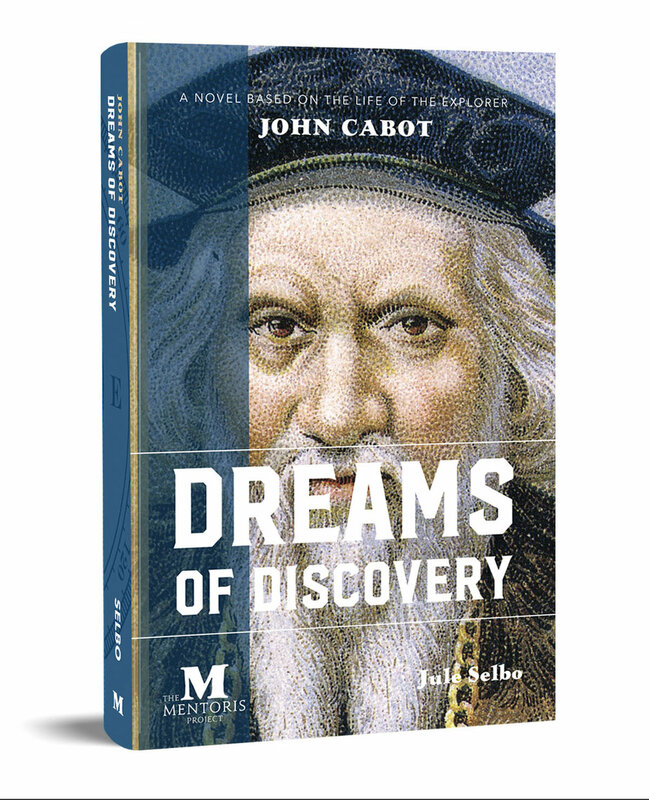 John Cabot was born Giovanni Caboto in Genoa, Italy. As a child, he dreamed of captaining a ship across a mysterious, uncharted ocean, from Europe to the riches of China. There was another boy in Genoa at the same time, with the same dream: Christopher Columbus. The Turks, in the fifteenth century, had a stranglehold on the trade routes to the Far East. Europe’s race to find an alternative passage was heating up. But an explorer needed patrons, funds, ships—and a vision. Whereas Columbus had taken a south and west route from Spain, Cabot was convinced a more northern route from England would lead directly to China. Cabot remained convinced, even on his deathbed, that he’d reached China—not realizing he’d claimed much of North America for his patron, the King of England, and made an amazing contribution to the fabric of America. Jule Selbo is an award-winning screenwriter, playwright, and novelist. She has written feature films, and has written and produced television series for major studios and networks. Credits include George Lucas’s Young Indiana Jones Chronicles, HBO’s Women Behind Bars—Prison Stories, and the feature Hard Promises, starring Sissy Spacek. Her Disney credits include the animated features Hunchback of Notre Dame Part Deux, Cinderella II, and Ariel’s Beginning. Her plays Boxes and Isolate have won regional theater awards. Her novels include Piazza Carousel (2018) and Pilgrim Girl (2005, co-written with Laura Peters). In addition, she is a professor of film and television at California State University, Fullerton, and has written books on screenwriting and film history, including Screenplay: Building Story Through Character (2015), Film Genre for the Screenwriter (2015), and Women Screenwriters: An International Guide (2016, edited with Jill Nelmes). Selbo has contributed to Journal of Screenwriting as well as anthologies on film writing. She holds a PhD in film from the University of Exeter in England and holds seminars on writing in the U.S. and internationally.